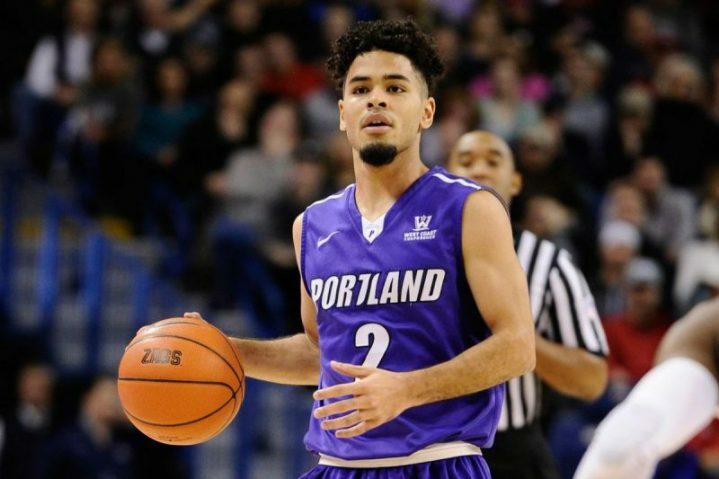 In this on-going series, we’ll get to know the names, faces and stories making news in and around Portland sports…this week we catch up with Senior, Portland Pilots guard Alec Wintering and his road to the pros, after suffering a recent “season-ending” knee injury. Wintering underwent successful surgery on Wednesday and shared the news on Twitter. Now the North Carolina native is focused on working his way back to turning pro. I think those in Portland who have followed your college career closely felt your pain when they heard the news about your season-ending ACL injury…what has it been like for you these past few weeks? I think everybody else took the news worse than I did. Even though it is the end of my career here at UP, I am still able to be around my teammates and contribute as much as I can off of the court. Mentally I am just preparing to attack the rehab process. How is the knee? Can you provide us with a quick update? Right now I am doing some pre rehab work with the trainers at school, strengthening the muscles around my knee before surgery. What are next steps for you now that your surgery is complete? After surgery it’s really just focusing on getting back healthy and preparing to come back to the game stronger than before. You have dealt with injuries before, but what has helped pull you through this tough time knowing there is more at stake as a Senior? I believe it’s all a mentality, I am staying positive through the whole process. Although it is unfortunate timing not being able to finish the season with my guys, I know I will still be able to play basketball professionally. Ever since arriving to play in Portland from North Carolina back before the 2013-14 season, you have worked hard, grew into an All-WCC first team selection, and emerged as a team leader. How have you grown as a person and a player these past few years with the Pilots? My four years at UP have been great. I have been able to come out of my shell not only on the court but in my everyday life. All of my coaches have given me confidence by believing in me to lead the team that has really helped me grow. How do you take that same approach to tackling your rehab process and getting back on the court? Or are you even thinking along those lines right now? There have been plenty of people that come back from the same injury, and I know what kind of work ethic I have so I am 100% confident that I will be back, and better! What did it mean to play for new head coach Terry Porter this season, knowing the program is growing together and is focused on a new direction? Coach Porter has been great. He has helped me so much as I continue to develop as a player. He is so smart and knows the game so well so any kind of helpful words he passes to me I definitely listen. Obviously, your plans after the season will be impacted…how hard is it as a student-athlete to balance this setback while trying to prepare for finishing up school? Luckily, I have done my part in the classroom so my load is very light. I only need one more class to graduate and we meet only once a week on Tuesday nights. I really have a lot of time now to focus on getting healthy and improving. Some headlines claim this is a “career ending” injury? Do you use that to fuel your drive to eventually get back on the floor? My injury is “career ending” in the sense that my career at UP is over. Overall, my career is just beginning, I will be back playing professionally soon enough. You’ve had the opportunity to learn from two of the most underrated guards to ever play in the NBA, from Terry Porter to Muggsy Bogues, during your Senior season in at high school at United Faith Christian Academy in North Carolina…what have you learned the most about how they both overcame obstacles on their way to the top of the game? Both Coach Porter and Coach Bogues have unique stories, Coach Porter going to a D-III school and Coach Bogues being one of the smallest guards ever to play in the NBA. But both coaches harped on hard work, being able to separate yourself from “the pack” by putting in the work. Throughout my career I have shown that hard work pays off, as I have been able to improve and grow into a top player in the WCC. Another thing I was able to take away from them is to believe in yourself. Believing that you are good enough to do anything you want, both were able to instill confidence in me by believing that I was good enough to play at the next level.